Created in June 2010, the UNESCO chair "Education, training and research for sustainable development" was renewed for a four-year period in 2015. The chair is based in the Bordeaux Polytechnic Institute (Bordeaux-INP) and hosted by ENSEGID, one of the eigth graduate school of Bordeaux-INP. This renewal was accompanied by the membership of several universities from countries not represented to date in the UNITWIN network with 42 Universities and High Education institutes belonging to 21 countries. 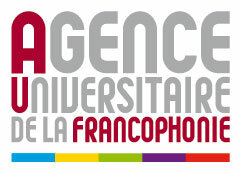 The UNESCO chair and its UNITWIN network is designed to better mobilize the Francophone academic and scientific actors and their partners in order to enable more efficient and more visible development of policies, capacity and instruments relating to education, training and research for sustainable development. The strategy of the UNESCO chair refers to the Global Action Programme 2015-2019 on ESD, on Education 2030 and the UNESCO Agenda on sustainable development for 2030 and its 17 sustainable development goals. (read more…). The Global Action Programme (GAP) on Education for Sustainable Development (ESD) generate and scale-up concrete actions in ESD. It is intended to make a substantial contribution to the post-2015 agenda. The GAP is the follow up to the United Nations Decade of Education for Sustainable Development. There is now a growing international recognition of ESD as an integral element of quality education and a key enabler for sustainable development. The Sustainable Development Goals (SDGs) adopted by the global community over the next 15 years include ESD in the targets.